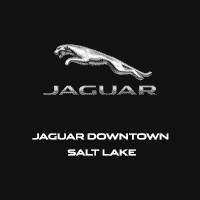 Here at Jaguar Downtown Salt Lake, customers mean a lot to us. We want you to feel confident in performing simple maintenance tasks to keep your vehicle running smoothly. This video will show you how to check your vehicle’s oil levels to keep your engine in tip-top shape. Checking your oil is an easy task. Open your car’s hood and locate the oil dipstick. Depending on the make of your car, this could be in one of many places. If you aren’t sure where it is, you should consult your user manual. Once you’ve found it, remove the dipstick. Using a paper towel, wipe off all the oil.. It is usually easy to do this at a gas station because they usually have paper towels available at the pump. Then, put the dipstick all the way in and then take it back out again. Look at the indicator marks at the bottom of the dipstick. It will tell you how much oil is currently in your engine. Could it be time for an oil change? It’s possible to change your oil at home, and our video about how to change your oil will help. This is a simple task that many people like to do when they fill their car with gas. Checking your oil levels can make you aware of potential problems before damage is done to your car. Continue watching our videos to learn more tips on auto maintenance.